It's five years since direcor Joshua Zeman impressed us with his excellent documentary about the urban legend "Cropsey (2009)" and the real life serial killer Andre Rand. Now, he has a new documentary out, and unsurprisingly, it also deals with urban legends, though this time with a few of the better known and more 'popular' ones. "Killer Legends" (I somehow like the working title "The Urban Legend Project" more) focuses on 4 different legends: the killer with the hook, the Halloween candy-poisoner, the babysitter murderer and the killer clown. Together with researcher Rachel Mills, Zeman travelled all over America to find out the shocking (or not-so-shocking) truths behind these modern myths. Segment #1 deals with the "Moonlight Murders" that took place in the town of Texarkana in 1946, murders that were probably the origin of the legends about the 'hook man' who threatens teenagers on lovers' lanes, which later got turned into the faux-documentary horror-classic "The Town That Dreaded Sundown". Zeman compares the real kills with the fictionalized ones in the film, goes into details about the film's impact on Texarkana itself, and explores the originations of the killer's nickname "The Phantom". Very solid segment! Segment #2 is about Ronald Clark O'Bryan, better known as the "Candy Man" or "The Man Who Killed Halloween". A father who took the legend of the poisoned candies to cover up the fact that he killed his own son with Cyanided "Pixy Stix", only to claim his son's life insurance money. Starts out strong, but ends up rather dull because it's simply too long and gives us too much boring footage of O'Bryan talking. Segment #3 is undoubtedly the strongest one and deserves to be expanded into a full-length documentary, as well as into a fictionalized film version. As infamous as the legend of the "Babysitter Murder" is, we get to know that it's far more popular in Hollwood ("When A Stranger Calls", "When A Stranger Calls Back", "Halloween"...) and hardly ever happened in real life - aside from one forgotten case in Columbia, MO in the late 1940s, where two babysitters have been raped and strangled with an electric cord. Back then, a mentally handicapped man was found guilty and eventually executed. Case closed. However, Zeman and Mills now found out that this man was probably innocent, and the rapes/murders could have been committed by someone else, some guy who knew both women personally. This segment kept me on the edge on my seat. The scene where the German profiler brings up a previously overlooked clue... goosebumps!!! 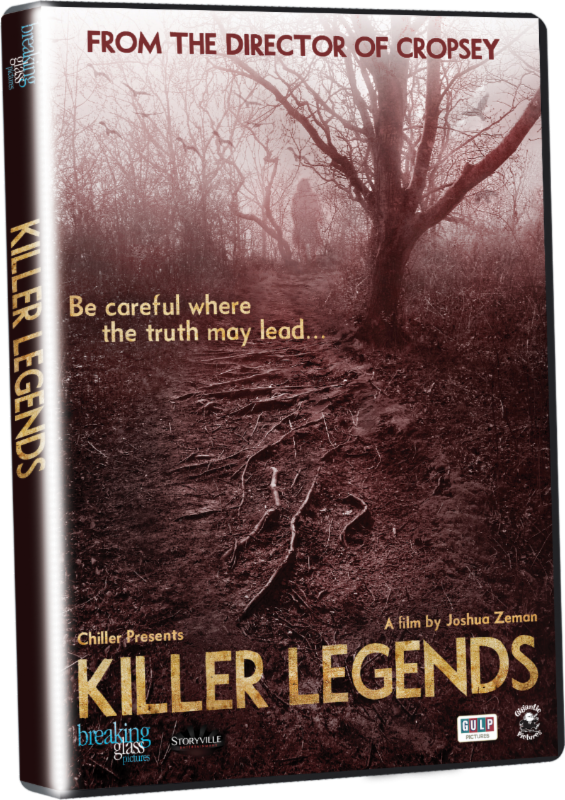 "Killer Legends" is a worthy "Cropsey"-successor, though it could have been way better if Zeman skipped the Halloween part and focused on the three other legends. Recommended to fans of urban legends and documentaries per se.